Whether it’s a new house you want to furnish or an old one being renovated, house flooring is the first thing you need to decide on. Your first step towards choosing appropriate flooring is to understand your choices. You must already have an idea of what kind of look you want your house to have. Design, décor, budget, location, and lifestyle are a few things that influence such a decision. Established in 1995 and located on 1133 Carpenter Road in Modesto, California, Speer Floors is a renowned name when it comes to the best flooring options and quality available. There are a variety of flooring options available as mentioned above. Let’s take a look at some of the more popular. Carpets are soft to the touch, comfy, and can give a classic feel to your home. You have a number of materials, colors, and designs to choose from. A wide range of carpets from top brands like Shaw Floors and Dream Weaver are available at Speer Floors. 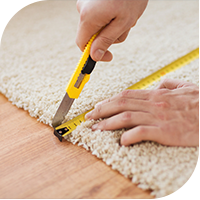 While carpets can add elegance to your house, they can also make it come across as mundane if they’re not done right. Also, keep in mind that carpets have to be washed and cleaned every once in awhile. But the homey touch that they add to your homes makes them worth the effort. They also have insulating properties and hold heat or cool in extreme weather conditions. 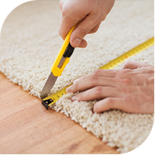 Carpets are good for homes that are less exposed to dust, don’t have pets, or have babies and toddlers. Our carpet store in Modesto is a great place to come browse all of our options. With all the resilience and modish aesthetics it brings to your indoors, hardwood flooring is undoubtedly something you can always bank on. 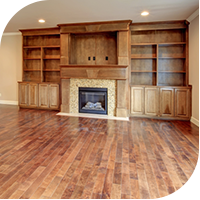 The wood comes in several designs and colors, but the natural wood color is most preferable. 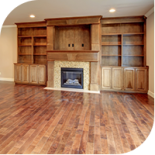 Hardwood comes in different forms such as floorboards, unfinished pattern wooden planks, and parquets. Oak is a good choice of hardwood to go for, but you can also choose from other exotic woods like Tasmanian Oak, Brazilian Cherry, and more. 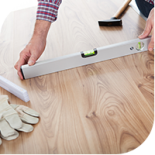 Hardwood, unlike carpets, is expensive but easier to clean as it can be simply wiped or mopped. From simple and chic to bright and graceful, Speer Floors has all the variety available from several reputable brands. 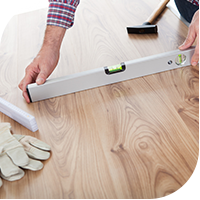 Both vinyl and laminate floor planks are made up of four layers and have different materials used in them. Laminate flooring is created through lamination and is made of thick fiberboard which makes it stiff, unlike vinyl flooring. Vinyl flooring is constructed using PVC (polyvinyl chloride) which makes it smooth, but bendable. Laminate floors have an average lifespan of 10 years and are a low-cost option in contrast to vinyl flooring which has a longer lifespan and higher cost. So, your budget has the ultimate decision-making power here. Both types of floors don’t fade in sunlight, don’t require much cleaning, and will give your home a unique, trendy touch. If you are confused which flooring option to go for, visit our website, contact us, or check out our store on 1133 Carpenter Road in Modesto today. We carry the highest quality brands in the industry, ensuring guaranteed product satisfaction. With Speer you’ll not only receive our undivided attention, you can also take advantage of a free consultation. Backed by decades of experience and knowledge, our experts are exceptional at what they do.